Evelyn Stormbourne looses her capacity to control storms. How will she now reclaim her throne? When a fearsome nemesis from her past reemerges, she embarks on a desperate quest to find the Fantazikes who once promised to help her master her divine abilities. If she fails, her enemy’s dark Magic will enslave her, forcing her to destroy everything and everyone she loves. 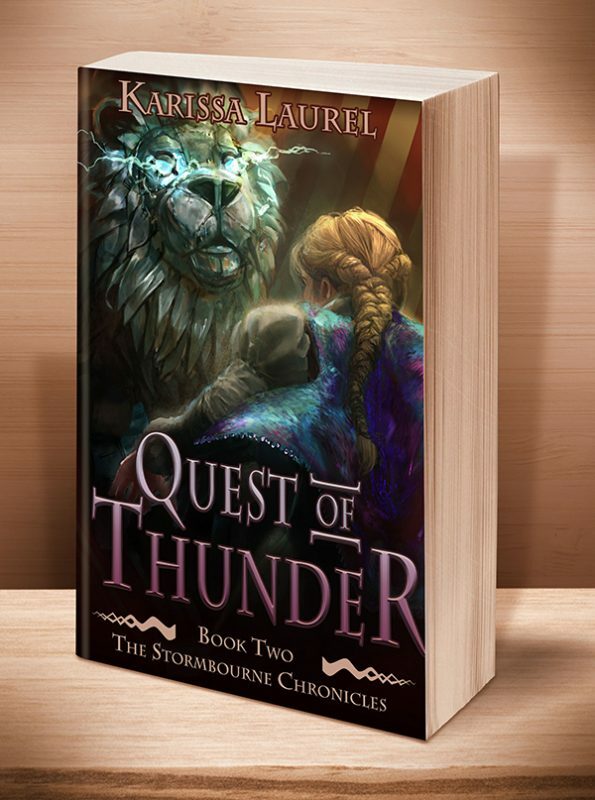 Mary Fan says: "Quest of Thunder is an utter delight to read, full of magic, adventure, intrigue, and mayhem. ... I wish I could dive in and hang out with Evie and her friends. Everything about this book comes alive with immersive world-building and colorful characters." Evie must restore her divine abilities, or be enslaved by her enemy’s dark Magic. Without her capacity to control the storms, Evie wonders how she'll ever reclaim her throne—a legacy she's not convinced she deserves. But when a fearsome nemesis from her past reemerges, she embarks on desperate quest to find the Fantazikes and restore her powers. If she fails, her enemy’s dark Magic will enslave her, forcing her to destroy everything and everyone she loves. 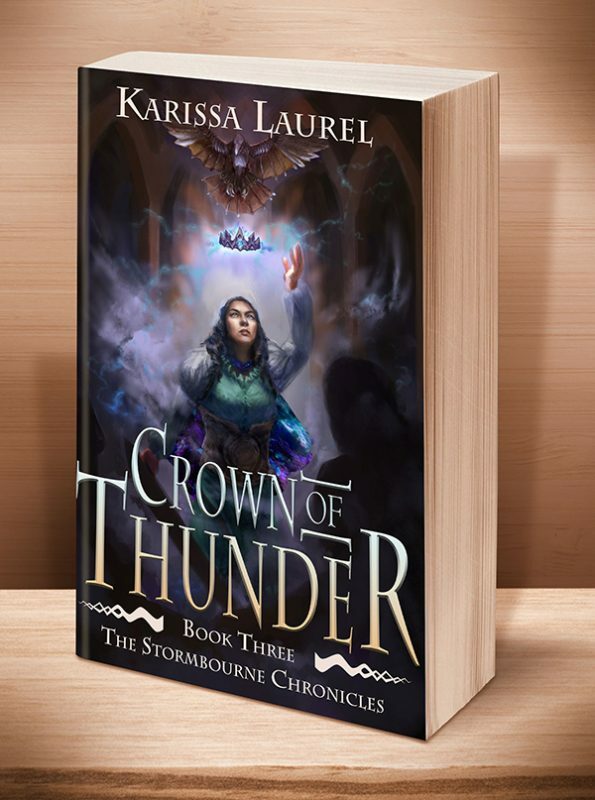 Other Books in "Stormbourne Chronicles"
This young adult fantasy, the second in “Stormbourne Chronicles,” is perfect for readers aged 13 to 113. 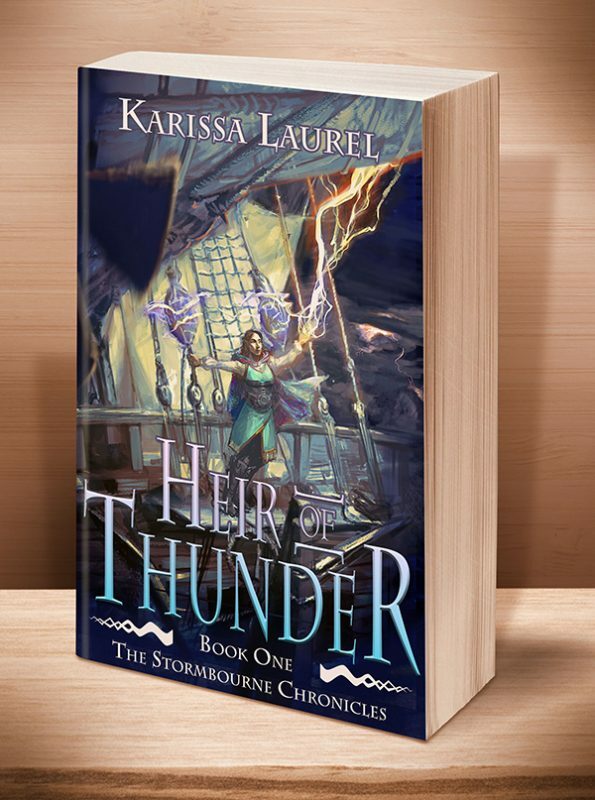 Click the BookBub button to keep informed of special deals on this book and others by Karissa Laurel. Just FOLLOW her on BookBub, and be sure to BOOKMARK her books as “Wanted (Deal Alert)”–that way you won’t miss out. This book is also available directly as $14.95 Autographed Paperback (we’ll add $5 for shipping & handling). To order, just EMAIL US HERE. Please include the title of the book, quantity desired, and your PayPal address so we can invoice you. This entry was posted	on Thursday, November 2nd, 2017 at 3:04 pm	and is filed under . You can follow any responses to this entry through the RSS 2.0 feed. Both comments and pings are currently closed.